I'm so excited to have one of my cakes featured (and on a full page) of Brides Magaize this month. 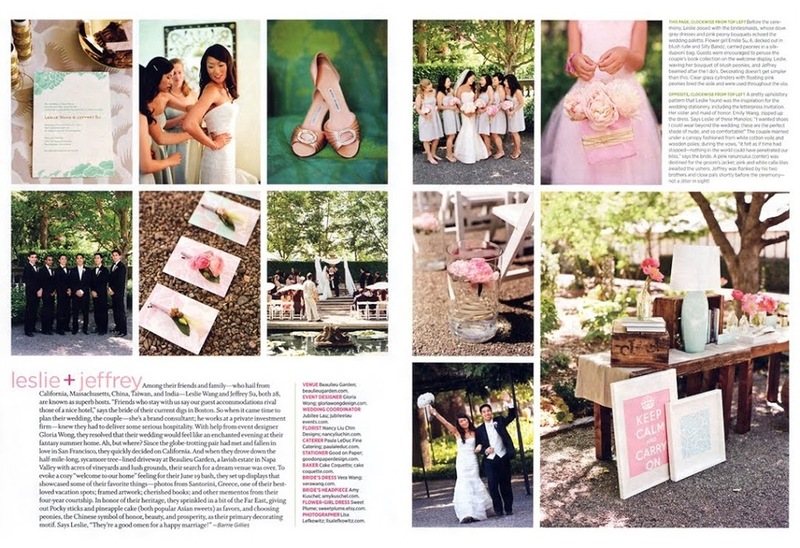 This was an incredible wedding photographed by the lovely Lisa Lefkowitz, designed by Gloria Wong Designs with gorgeous flowers by Nacy Liu Chin. These are just a few of the amazing people that put this event together. Enjoy this lucious spread! Last Cakes for the Year!